Pablo Gordillo may have had the greatest tournament run that nobody will hear about. But you will hear about it in this edition of the Weekly Flop. Less than five years ago, it seemed like pretty much anybody could land an online poker sponsorship deal by luckboxing a WPT tournament, being a top player in Latvia, or simply being a hot girl. Fast-forward to now and you have a better chance of walking on to an NBA team than getting signed by a poker site. It’s clear that the online poker world is cutting costs, and having notable pros wearing their patch is no longer a priority. In Joe Cada’s case, sponsoring him wasn’t even worth rakeback. The 2009 WSOP Main Event winner tweeted that he and PokerStars parted ways because they wouldn’t grant his sole stipulation: 100% rakeback and a zero-dollar salary. It’s inconceivable to think that PokerStars wouldn’t let a respected Main Event champ play on their site rake-free in exchange for representing them. But that’s the poker world we live in now. Jason Somerville was another big name to be let go recently. With Ultimate Poker pulling out of New Jersey and looking to save money, they asked him to take a pay cut. But as Somerville put it, “I’m not a cheap date,” adding, “I didn’t want to take whatever, so we had to do what we had to do.” The one good thing to come out of all this is that both Cada and Somerville parted on good terms with their sponsors. But we can only imagine that there are going to be a lot more of these gracious departures in the future. Tom Dwan: Scammer or Reneger? Tom Dwan’s reputation continues to be dragged through the mud. Not long after being called out by Dan Cates about his reluctance to finish the Durrrr Challenge, Dwan became the prime subject of forum threads at TwoPlusTwo and Reddit. 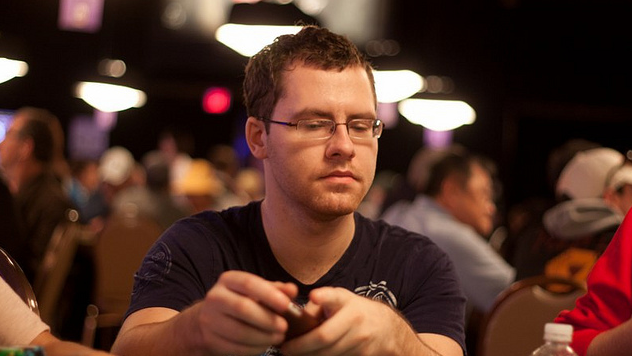 Poker players on the Reddit thread were conflicted as to whether Dwan is a scammer or merely reneging on the challenge. They also debated about whether pursuing somebody in court over a prop bet would be feasible. In any case, it doesn’t look like Dwan’s refusual to finish the Durrrr Challenge will go away quietly. Right now, Cates is ahead by $1.25 million with roughly 30,000 hands left to go. If he maintains his lead, he would win an extra $1.5 million; if Dwan makes a comeback, he’d win an extra $500,000 according to the 3:1 odds that he gave Cates. An amazing tournament run that’s gone somewhat under the radar includes what Pablo Gordillo recently did at PokerStars. The Spanish-born pro won the $109 Sunday Kickoff, the $55 Bigger and the $11 Sunday Storm, which featured 1,737, 5,636 and 35,594 players respectively. And prior to these three big wins, he took down the Bigger $22 on Thursday. All told, Gordillo earned over $111,000 from these four victories, which is a nice haul. But the monetary value doesn’t even begin to speak on how difficult/lucky it was to win all of these events in such a short time span. Maybe Gordillo’s run will never go down in history with Daniel Negreanu in 2004, Sam Trickett and Erik Seidel in 2011, or Dan Colman in 2014. But we’re definitely impressed!